Restaurants are expected to pass some of the cost on to consumers when Irish Water increases commercial rates for businesses. A GLASS OF tap water in a restaurant could set you back €1 from next year as Irish Water moves to increase commercial rates for businesses. According to the Restaurants’ Association of Ireland, restaurants are expected to pass some of the cost on to consumers. Adrian Cummins from the RAI told the Sunday Independent that it’s only fair for businesses to charge as their own costs go up. So today we’re asking, Would you be happy to pay €1 for a glass of filtered tap water? 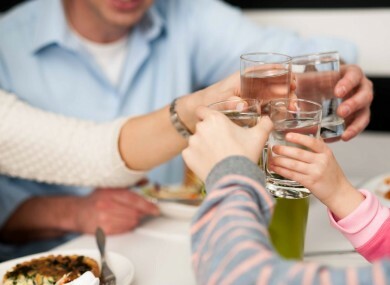 Email “Poll: Would you be happy to pay €1 for a glass of tap water in restaurants? ”. Feedback on “Poll: Would you be happy to pay €1 for a glass of tap water in restaurants? ”.